One of the advantages to being able to sew is being able to whip up a dress when having one of those days that end up with most of your wardrobe thrown on the bed because you just don't want to wear anything you own. Now, in the past, this would have resulted in a shopping trip. However, with the ready to wear fast, I only had my stash of patterns and my stash of fabric. My version of McCall's 6559 is much looser. For anyone who watched the national news, Sacramento is supposed to hit the first 100 day of the year this week. I believe we were in the 70's last week. I wanted something cool. No, not unique or fashionable. I wanted something comfortable when opening the door and feeling like I've stepped out into an oven, only to find that opening the car door was even hotter. Well, this morning I decided I would make the dress that inspired a pattern and fabric purchase. I had seen Susie Homemaker, MD create. In fact, the day I saw her post, I immediately bought the fabric and then bought the pattern within days. I've been admiring the fabric, afraid to cut into it and ruin it for months. Since I frequently don't get fit or sizing right the first time, I decided to try using a knit that I have had in my stash for 4 or 5 years. I only had one yard, but it was enough. This pattern is a front and a back. That's it. Two pieces. I looked at the bust, waist and hip measurements and decided to go with the 14 since the measurements came up with negative ease. Inside serged shoulder seam in navy thread. 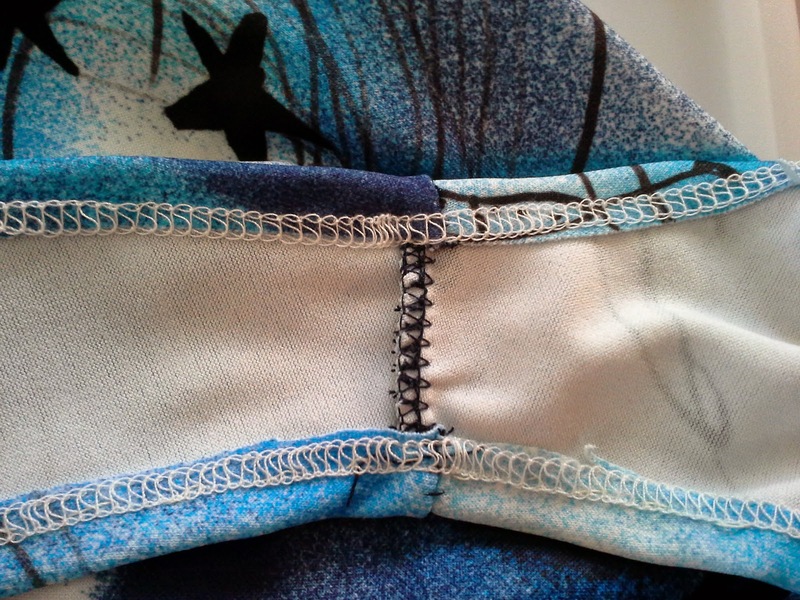 Inside of neck and arm hole hems using the cover stitch. I used the serger to sew the shoulder and side seams. The pattern calls for hemming the neck, arm holes, and hem. So, I used Maris's from Sew Maris, tip for using the coverstitch to hem the neck, arm and hem. This was the most time consuming. I wish I knew how to use the attachments for my cover stitch machine by now, but I needed to do it in a way that I felt more comfortable until I do. It was so exciting to see my cover stiched hems! It was like the feeling the first time I used my serger and had finished seams. The outside of the cover stitched hem. Yeah, I'm showing off my newest toy! I love my new dress. However, I think it is too big. 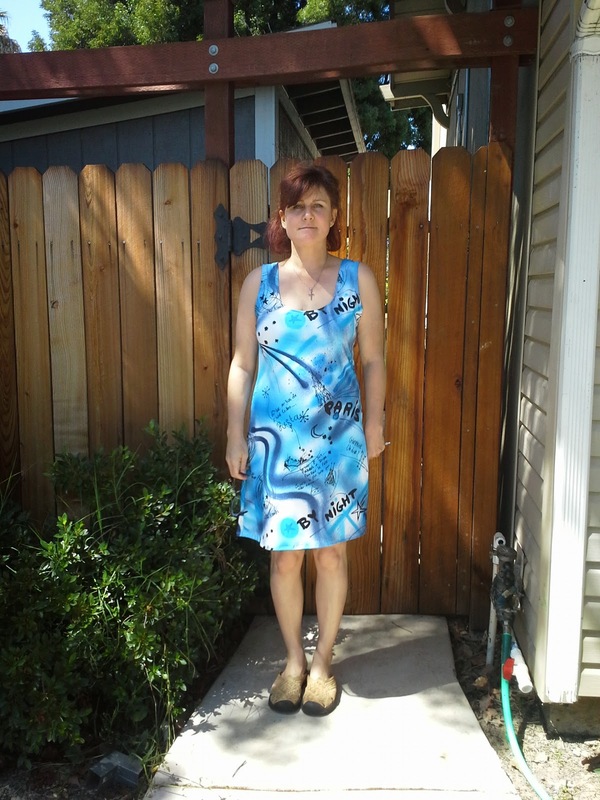 The dress is perfect for the heat. It skims the body and is not restrictive at all. I'm glad I didn't use the fabric that I wanted to. I will have to make another practice run in another fabric from may stash. The worst that happens is that I have another comfy hot weather dress. Very beautiful dress, Annette. I love two piece patterns. The hem is beautiful; you're making me really consider getting a cover stitch machine for myself too. Thanks. I was undecided about posting that I got the cover stitch. I don't want people going out and buying one without careful consideration. It really only does one job, but it does it well. Please make sure that you sew a lot of knits before making this investment. Very nice pattern. I have a book that has patterns that are simple like that. What I really wanted to know was what the difference is between a coverstitch machine and a serger? Thanks, Tina. I love simple patterns for around the house and during summer. They are simple to make and simple to wear. Sergers and coverstich machines are very similar, but very different. Some more expensive sergers are two in one. However, I have heard many say it is a pain to switch them back and forth. I don't have any experience with these. A serger is also called an overlock, which is probably a better name. 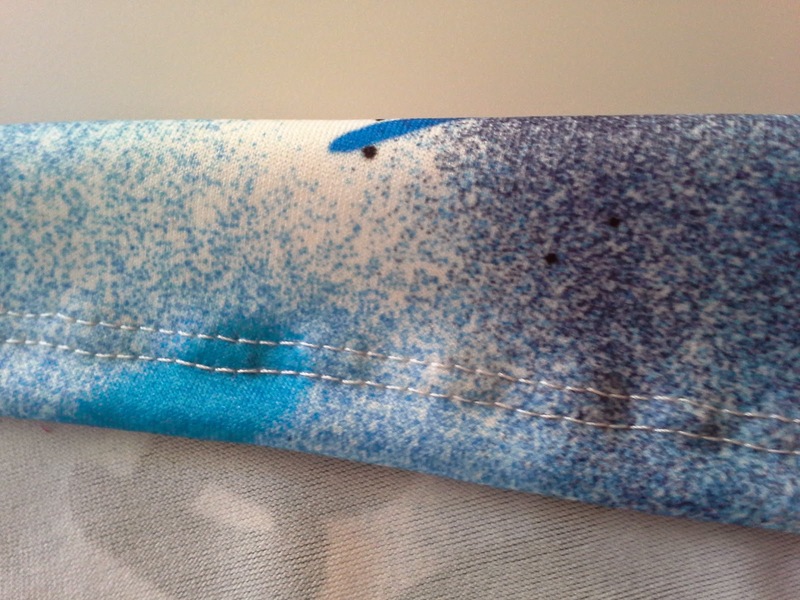 A serger sews seams together and finishes the seam by cutting and the stitches go over the sides of the fabric. It also finishes fabric by sewing over the edge. 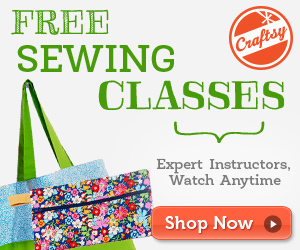 A serger has knifes that can be engaged or not engaged. It can do multiple stitches from narrow rolled hems to standard seams like that on the inside of a knit t-shirt. A serger can do many other things depending on the model. A coverstich looks like a combination of a serger and sewing machine. It does not have the ability to cut. It also does not sew over the edges. If you look at the double stitched hem on a t-shirt, that is a cover stitch. It can also be used to attach binding, make belt loops and do decorative top stitching. On active wear, it is often reversed and has the looping on the outside. My youngest son wanted the machine so that I could do this type of stitching on his knit shirts using neon or other contrasting thread. Tina, I hope this is helpful. 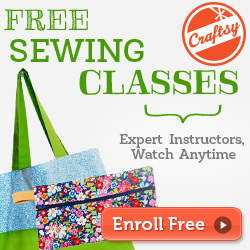 I was completely clueless the first time I looked at a serger and serger/coverstich machine. I ended up buying an embroidery machine instead! These two types of machines are used primarily on knits. I am actually working on a knit right now that is mostly on my regular sewing machine so far. 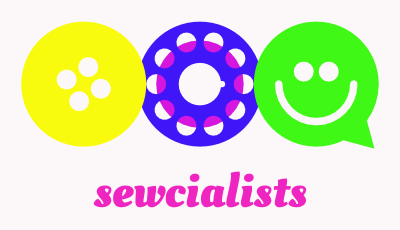 They are not needed and I would not recommend them for someone who doesn't sew a lot. Well I think your dress looks great!! And way to go on the coverstitch! It looks good too! Thanks, Vanessa. I feel like the coverstiched hems add just a little extra. Kind of like that feeling when with the first serged item. It looks just a little less homemade. Thanks for the coverstitch/serger explanation. I want a serger but cannot justify the cost. Despite the dress veins big, it looks great. Sometimes on hot weather it is nice to have loose garments. You'll get the fit on the next one. I'm glad you caught the explanation. You really can sew without either. I even sewed without a machine for a long time--by hand. The machine does not make a great sewist. I know people with $3000+ machines who can't figure out how to make a garment. I love what you I have seen you create! As for the dress, after wearing it, I was very glad it was big. We had a hot day and the airiness was nice. Your dress looks great! I have a coverstitch but haven't used it much, so still trying to get the hang of it too. Thanks, Beverly. I didn't sew today, but did spend a couple hours practicing over tbe couple days before. I figure I could sew a consistent 5/8" seam at first, why should I be able to master the coverstitch in a day.